In a large pot over medium high heat, add oil and let heat until shimmering. Then add ground sirloin and brown well. Cook for 6-7 minutes until meat is well browned. Add shallots, garlic, cumin, chili powder, cayenne powder, cinnamon, and a pinch of salt and pepper. Cook until veggies soften, 2-3 minutes. Add Guinness™ beer to the pot along with diced tomatoes and tomato juices from the can. Bring to a slight simmer. Cover chili and simmer for 30-45 minutes until beef is very tender. 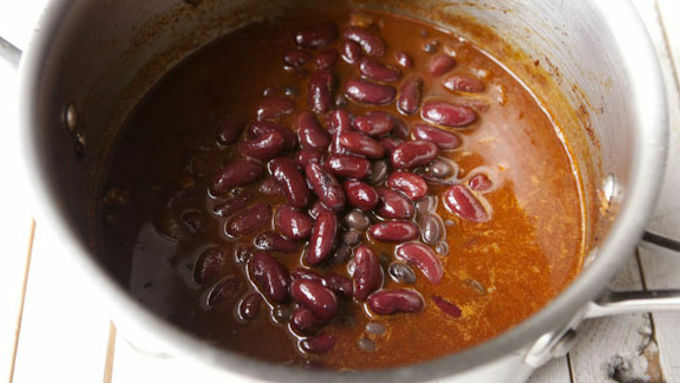 Add drained beans to the pot and cook for a few more minutes. Add a pinch of brown sugar and season with salt and pepper to taste. 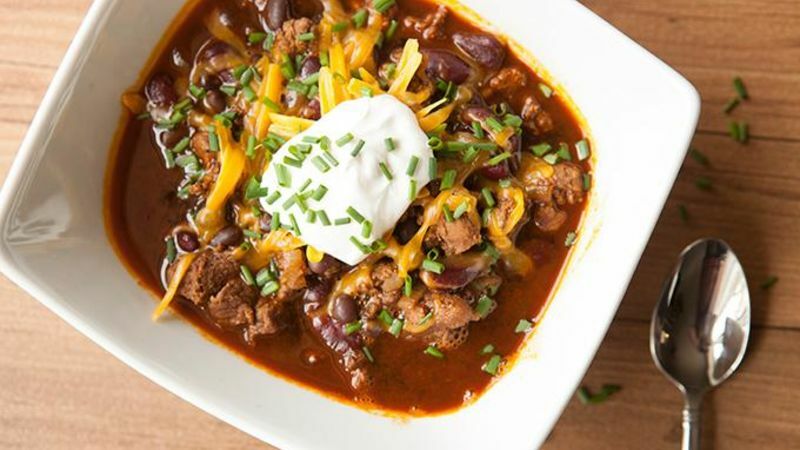 Keep chili warm over low heat and serve chili in big bowls garnished with sour cream, grated cheddar cheese, and fresh chives. 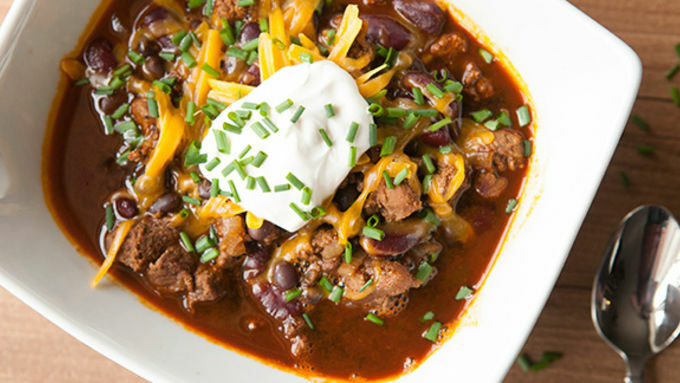 Guinness™ is the ingredient that brings this chili to life and makes it perfectly suited for St. Patty's Day, or any day a good hot bowl of chili is needed. People can be protective of their chili recipes. Some insist that it must have beans. Some say that beans ruin chili. Here’s my only rule for chili that I make: It has to taste good. Let’s not make it more complicated than it needs to be, right? If it tastes good, I’m all for it. Since it’s March and all things Irish are being celebrated, I thought it would be fun to simmer my chili in Guinness™. My Guinness™ Chili recipe is fairly easy since a lot of the flavors come from the dark, stout beer. Any ground beef will work fine for this recipe, but I recommend getting your hands on some ground sirloin if you can. 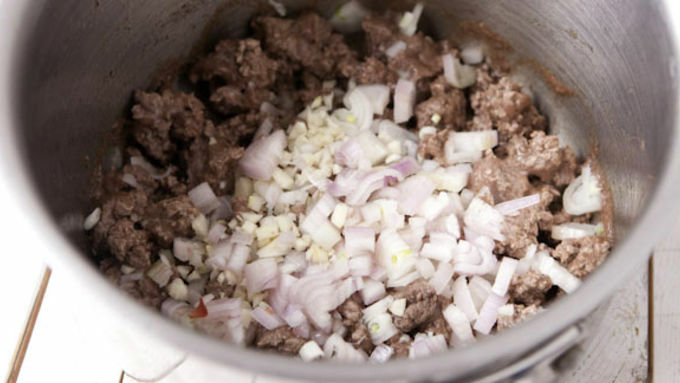 It will have better flavor and texture in the finished dish than generic ground beef. If you can’t find any, you can always make some! Just grab some sirloin and cut off most of the fat. Then cube it into 1/2-inch cubes. Pulse the sirloin in a food processor until it’s roughly ground. Some texture is good. To get the chili started you’ll also need some shallot and garlic. If you have an onion, you can just use that instead of the shallot. No big deal there! 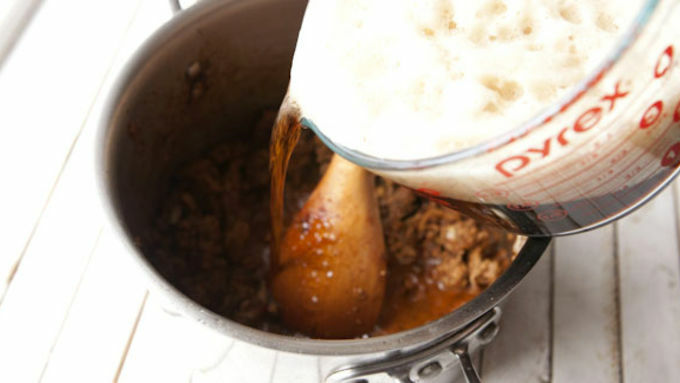 When adding beer to the chili it helps to pour the beer into a measuring glass first so some of the carbonation can bubble off the beer. Then just keep the chili warm on low heat until you’re ready to serve it! In my opinion, the best way to serve this good stuff is with a good dollop of sour cream, grated cheese, and fresh chives!